Asphalt has been used to create sturdy structures, objects, and pavement for a whopping 2,500 years! If you have asphalt in your driveway or on the pavement at your commercial property, it’s important to know its longevity and the best ways to maintain it. 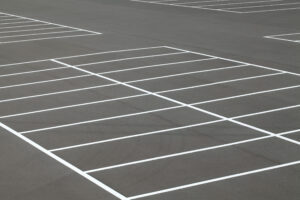 Here is what you need to know about the expected lifespan of asphalt and how to take the best possible care of it you can. Just like with any other structure in the outdoors, weather has a huge effect on how long it will last. In areas of the country that are dry and hot, asphalt can become rough and brittle over time. In damp and humid parts of the country, moisture can seep beneath the pavement and degrade it over time. Sink holes are actually caused as a result of pavement with moisture seepage over time that totally ruined the underlying materials. Colder climates also need to worry about potholes forming in asphalt as water that is on the surface freezes and thaws. The freeze-thaw cycle causes asphalt to decay more rapidly than it would otherwise. Be honest—when was the last time you had your asphalt surface professional maintained? If the answer is “uhh…” it’s time to take better care of your pavement! The longevity of your asphalt surface depends primarily on how well you maintain it. As cracks appear, it’s critical that they are properly filled and sealed. If there are areas of your asphalt that appear to be worn down, take the time to refresh them before that fatigue turns into cracks, pitting, or holes. A little bit of effort can save you major money in the long run. Keep in mind that it is much easier and cheaper to fill a small pothole twice a year than repair a massive pothole twice. Sealcoating is the best way to protect the life of your asphalt. Sealcoating helps to protect the surface from sun, salt, oils, gasoline, and water. The surface will stop these dangerous things from seeping underneath and causing structural damage. If you have sealcoating done every 3-5 years, you can double the lifespan of your asphalt surface. If you are ready to do a better job caring for your asphalt pavement, give Atlantic Maintenance Group a call today. This entry was posted on Friday, July 21st, 2017	at 12:16 pm	and is filed under Asphalt	. You can follow any responses to this entry through the RSS 2.0	feed. Both comments and pings are currently closed.